The main building at Hanegi Hachimangu Shrine was built by Kato Kiyomasa, and the shrine’s stone torii (gateway) is considered the oldest of its kind in Kumamoto Prefecture. 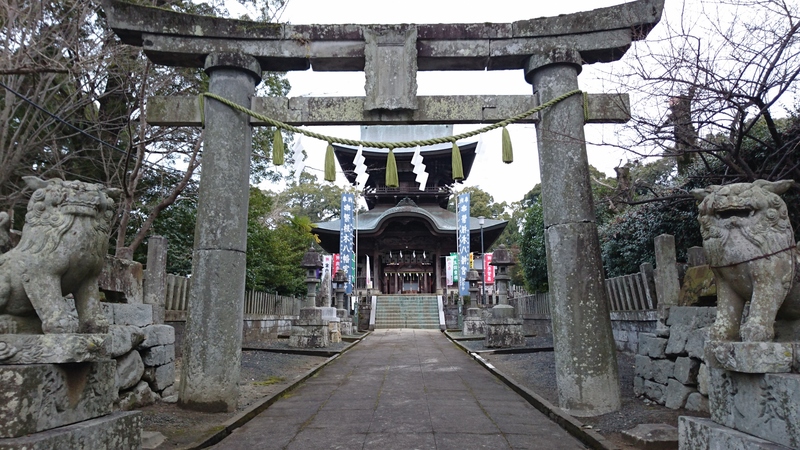 During the Satsuma Rebellion, the government military used this shrine as its base of operations when fighting against the Satsuma military. It is said that the stone walls still contain bullet holes.